“You can take that invoice and you shove it where…,”. After being very specific about the final resting place for the invoice, small business owner Oscar Reese added a comment that questioned the legality of the collector’s parents. The telephone call between Oscar and the accounts receivable rep, Kevin Hobbs, did not start well and and went downhill in a hurry. 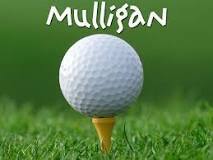 “Mulligan”, Kevin said, almost in a whisper. Did the mulligan approach work with Oscar Reese? Yes, it did. Does it work all the time? No. But nothing else does either. That is why you don’t want to be a one-trick pony when dealing with an irate customer. You want to have as many arrows in your quiver as possible. Note: If you are not a golfer, you may not be familiar with the phrase.